Hübsch bench with pillow. 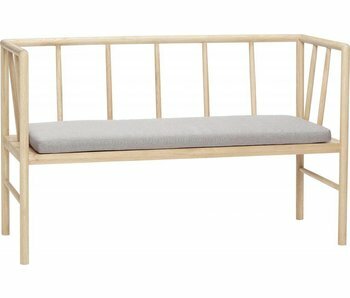 This comfortable Hübsch sofa is made of oak wood with gray cushion and is nice to use as sofa or bench at the dining table. Timeless Scandinavian design! This comfortable Hübsch sofa is made of wood and upholstered with gray fabric. Ideal to use as a standalone sofa at the dining room table or as a decoration item with, for example, a number of magazines. Hübsch dining room sofa with cushion. 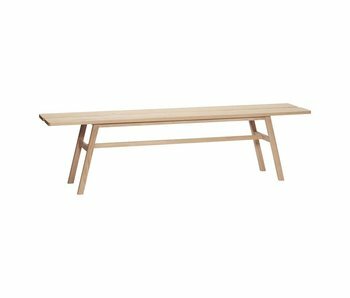 This comfortable Hübsch sofa is made of oak with gray cushion and is nice to use as a stand-alone sofa or as a dining table at the dining table. Timeless Scandinavian design! Hübsch sofa with storage compartment. 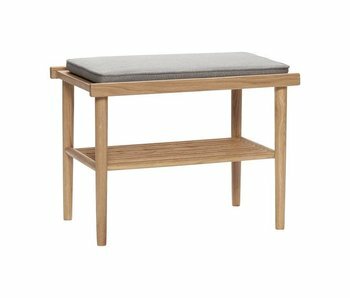 This beautiful Hübsch bench is made of oak and has a gray cushion. 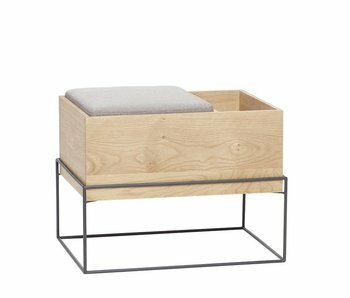 The bench also has a storage compartment for your favorite living room or other decoration. Handy! Modern Hübsch designer sofa with cushion. 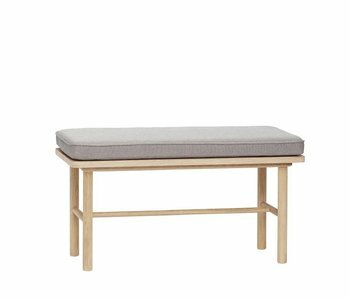 This minimalistic Hübsch bench is made of oak and has gray cushions with a strap. Timeless Scandinavian design! Modern Hübsch designer sofa with cushion. 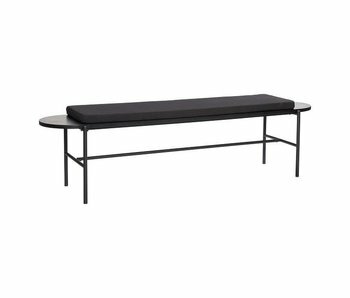 This minimalistic Hübsch bench is made of oak with black metal base and has a gray cushion. 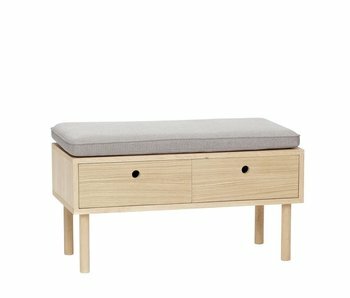 The bench also has a drawer where you can store items. Timeless Danish design! Modern Hübsch designer sofa with cushion. 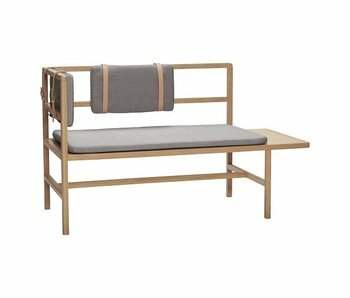 This minimalist Hübsch sofa is made of oak and has a gray cushion. Part of the new Hübsch collection and already a classic! Beautiful wooden Hübsch designer sofa with cushion. 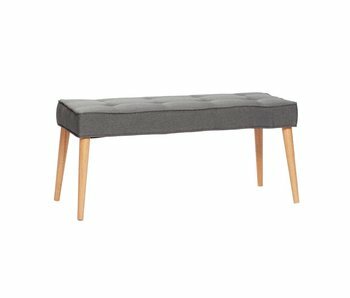 This Hübsch bench is made of oak and has a gray cushion. Part of the new Hübsch collection and already a classic! Modern Hübsch designer bench. 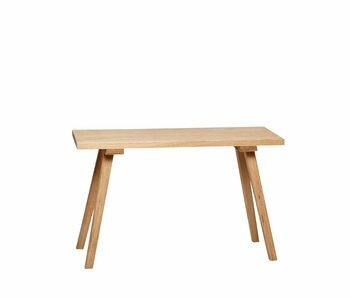 The beautiful Hübsch bench is made of oak and looks great in your interior. Nice combined with a lamp and magazines or books. Modern Hübsch designer sofa with cushion. This minimalist Hübsch sofa is made of wood with black metal base and black cushion. Timeless Danish design! Modern 2-seater sofa from the Danish Hübsch. This Hübsch sofa is upholstered with a dark gray fabric and has a wooden base. How do you combine this sofa in your interior? 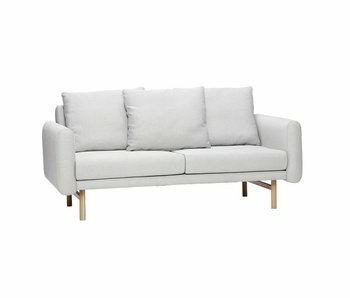 Modern 2-seater sofa from the Danish Hübsch. This Hübsch sofa is upholstered with a light gray fabric and has a wooden base. Equipped with wonderfully soft cushions to dream away. How do you combine this sofa in your interior? Modern 2-seater sofa from the Danish Hübsch. This Hübsch sofa is upholstered with a light gray fabric and has a wooden base. How do you combine this Hübsch sofa in your interior? 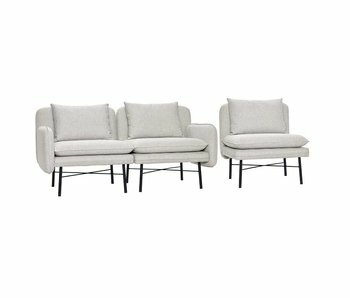 Modern 2-seater sofa from the Danish Hübsch with separate seat. This set of Hübsch is upholstered with a green velvet fabric and has a wooden base. How do you combine this special set? 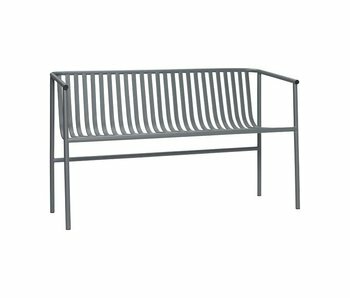 Modern Hübsch outdoor bench from the new Hübsch outdoor collection. This sofa is made of metal and has a gray finish. Nice combined with the other items from the Hübsch outdoor collection! 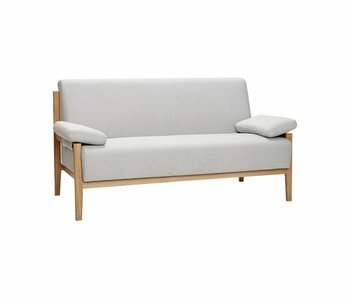 Modern 3-seater modular sofa from the Danish interior brand Hübsch. This Hübsch sofa is upholstered with a light gray fabric and has a black metal base. The elements can be coupled by means of a fastening under the element.